Hi, I'm Joydeep and I will be your host here at this site. First, THANK you for stopping by to my site and taking time to read a bit of me. I created this site to provide helpful guides and tips for better blogging, SEO, backlink building, making money from your site. 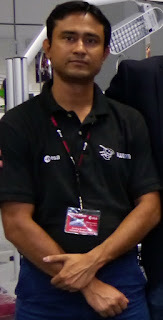 Electrical engineering is my educational background and I work in Space industry. Being passionate and interested in different hobbies, such as blogging, photography, value investment, organic gardening, recycling, I have lots of ideas. I try to follow KISS (Keep It Super Simple) approach in my Blogging to help new and professional bloggers with simple yet effective guides and tips on blogging, SEO, passive income from website. I CAN'T make you successful blogger overnight, but I CAN promise you to deliver tools, ideas, guides and tips towards a successful blogging journey.